So, the point of my blog is to see and do things I’ve never done in the city. 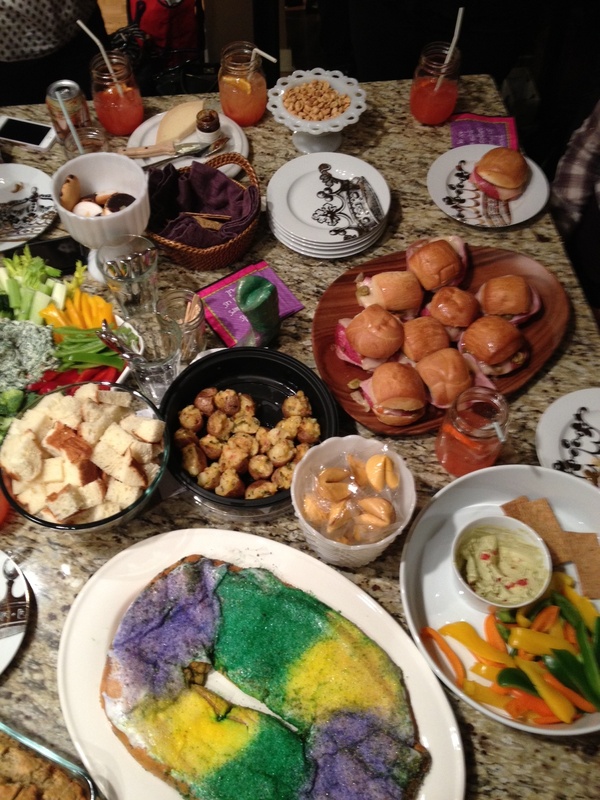 Technically, I didn’t go anywhere new, but I did host my first-ever Fat Tuesday party! 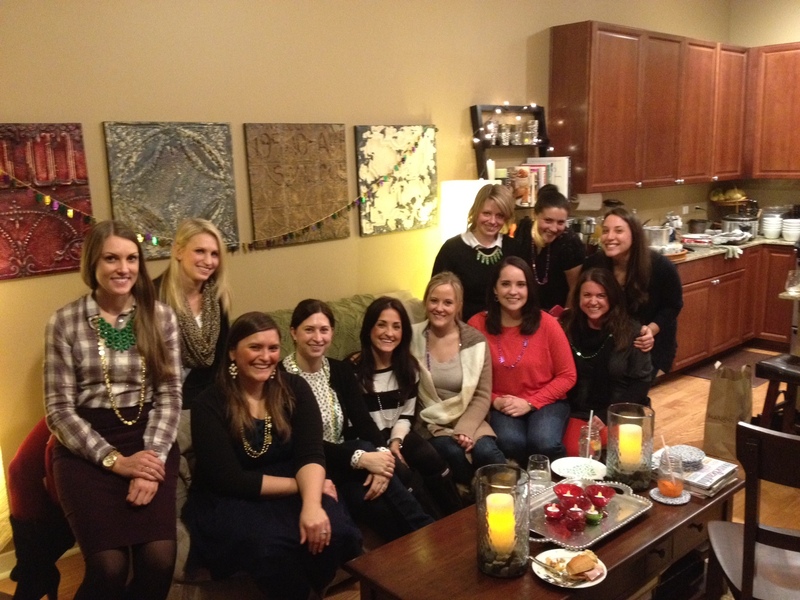 Ten of my girlfriends came over on Tuesdsay to enjoy some of our favorite high-calorie indulgences. I prepared two new items for the party: jambalaya in my slow cooker (I put a little less heat than what it called for, and totally mushed up my rice…grrr!) 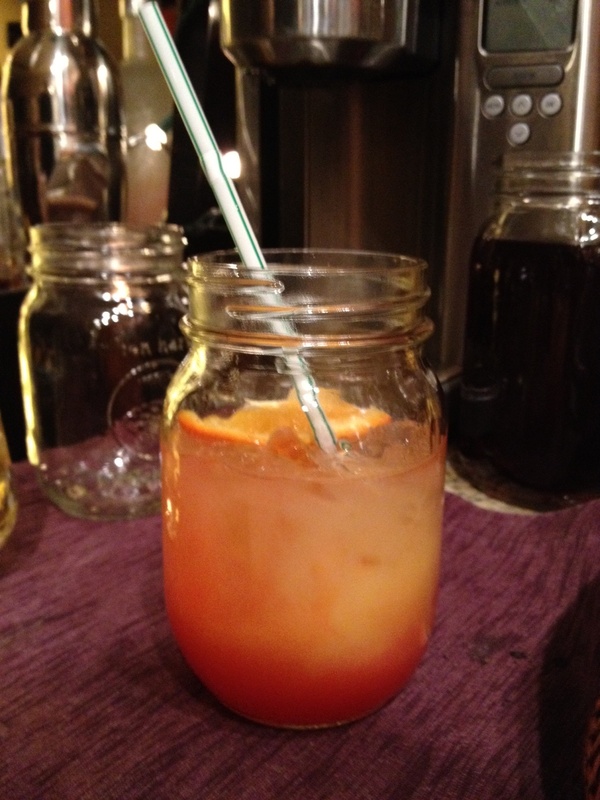 and a signature cocktail I found on Pinterest called the No-So-Fat Tuesday Cocktail. I especially liked the cocktail because it felt like I was on vacation, and wasn’t overly sweet. 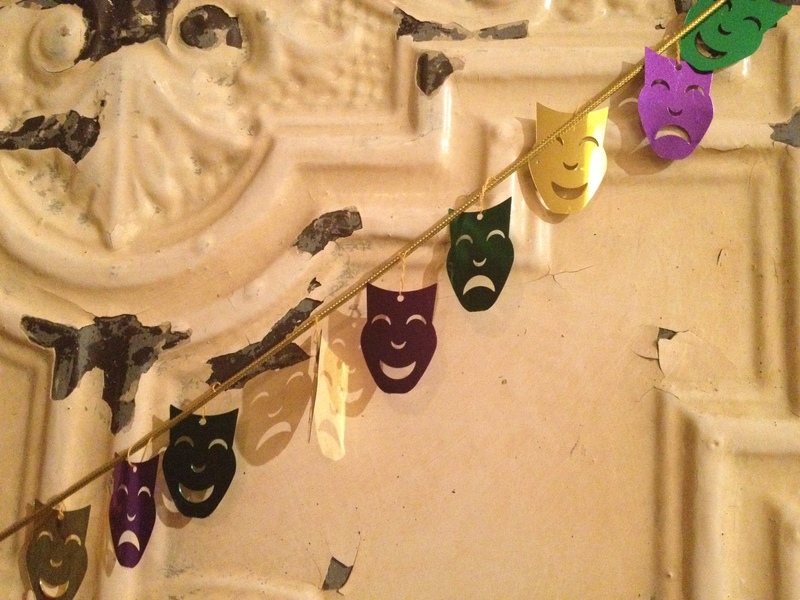 I didn’t do much on the decorating side of things, other than hang a garland of Mardi Gras masks over the sofa, put out some funny napkins (see below), and a ceramic cowgirl boot my 2-year-old niece and I made at the Craft Studio in NYC. 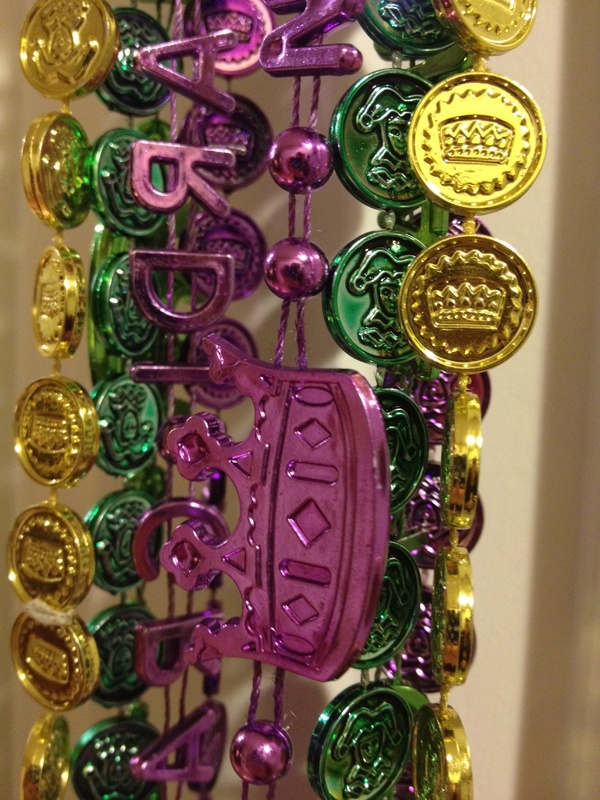 I got beads for everyone to wear too. 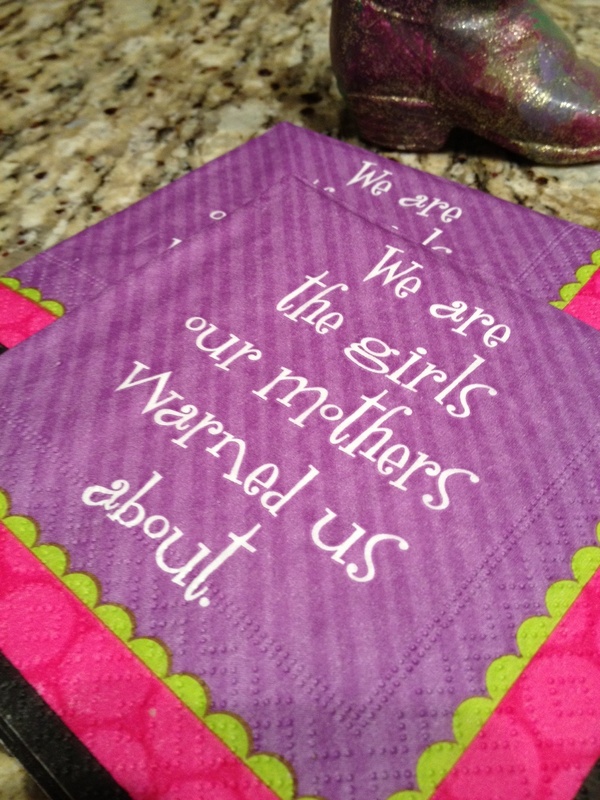 Gotta accessorize! 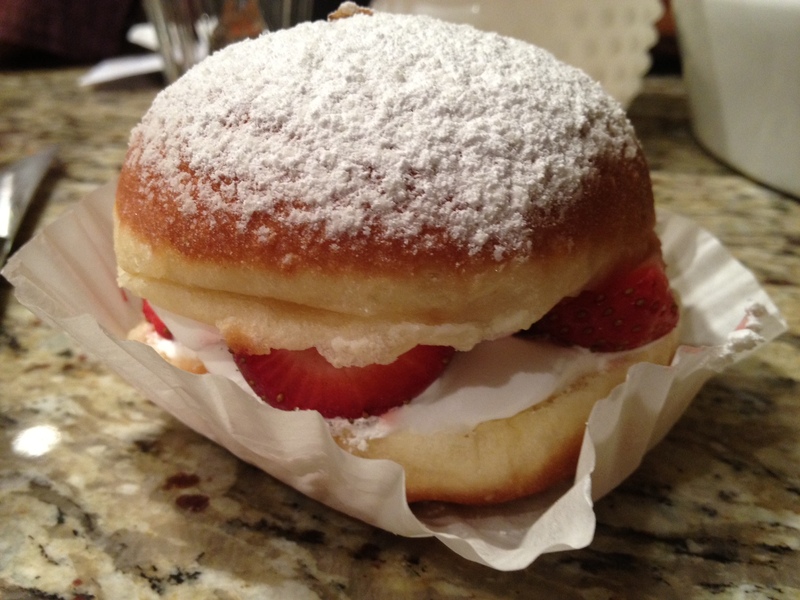 The girls brought tons of food, including an authentic King cake shipped from New Orleans, paczkis with fresh whip cream and strawberries (Lauren did special research to find these beauties! 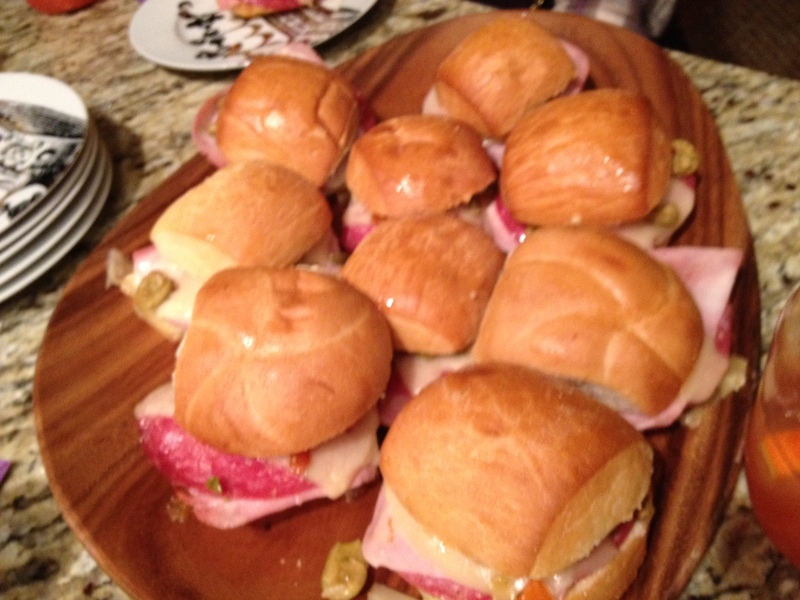 ), muffaletta sandwiches, decadent bacon mac and cheese with caramelized onions, twice baked potato bites, homemade rosemary bread, spinach dip, artisan cheese and crackers, hummus and veggies, and brownies. We were left with plenty of leftovers! 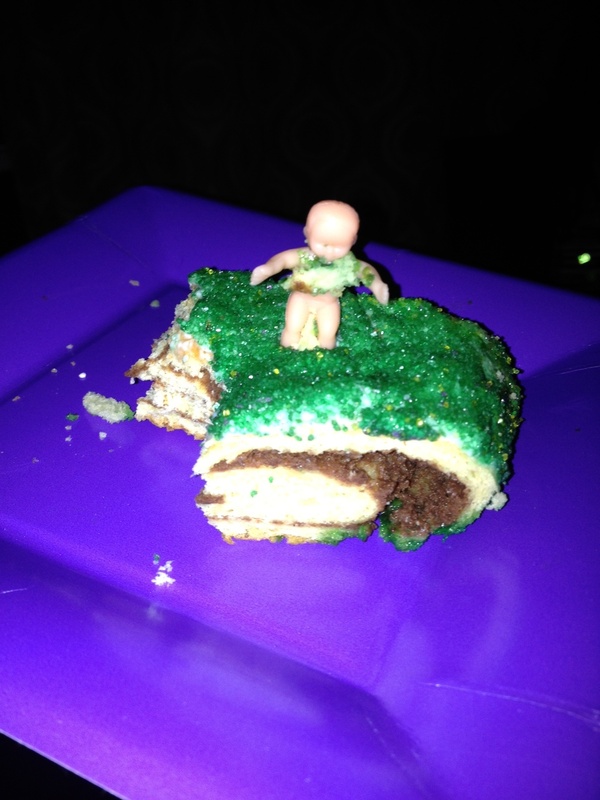 The King cake was a big hit because everyone wanted the plastic baby (whoever finds the plastic baby in the cake gets good luck!). 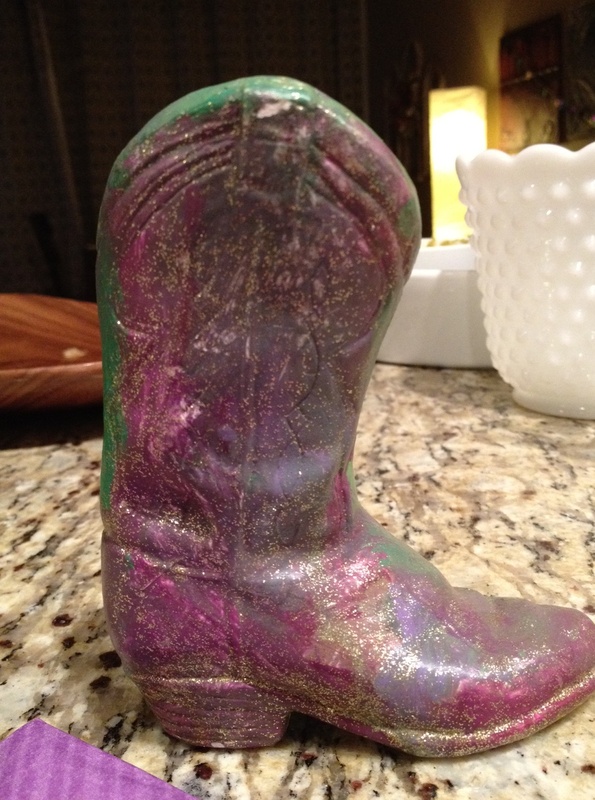 My best friend Bridget was the lucky lady to get it! Mel (my sister-in-law who brought the cake) also said whoever finds the baby brings the cake next year, and everyone agreed that we should keep the tradition alive next year. 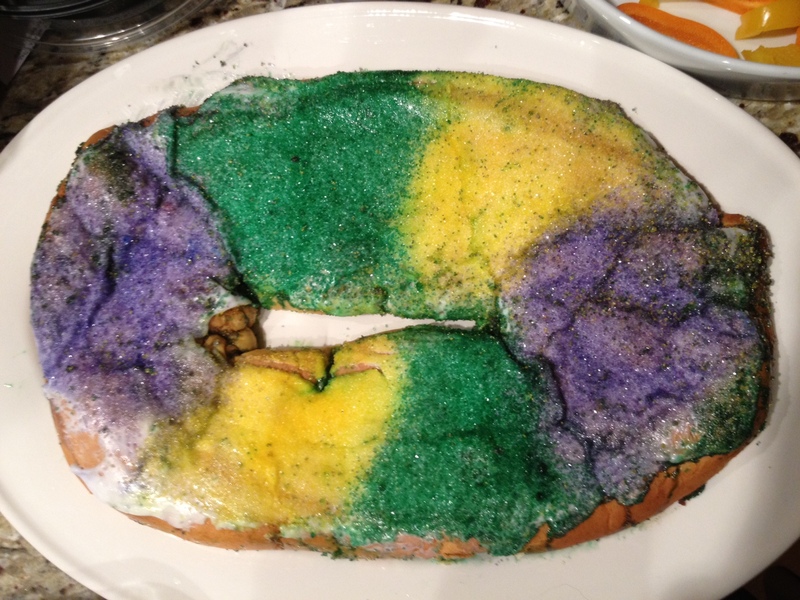 What did you do for Fat Tuesday/Mardi Gras? Looks like you guys had fun. What a great alternative than eating out somewhere!